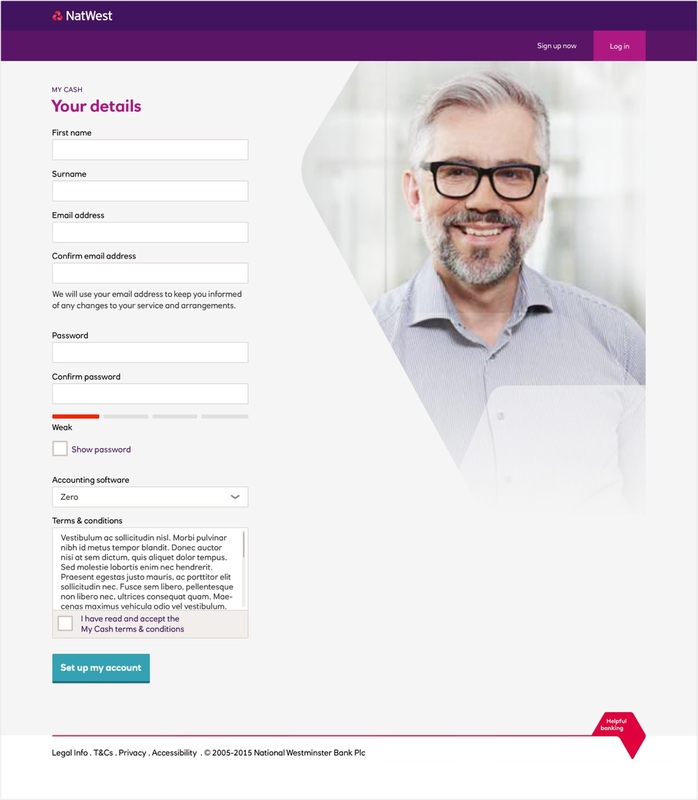 For a period of 3 months I integrated into the NatWest CPB (Digital, Commercial & Private Banking) Team to help them with a project called MyCash. 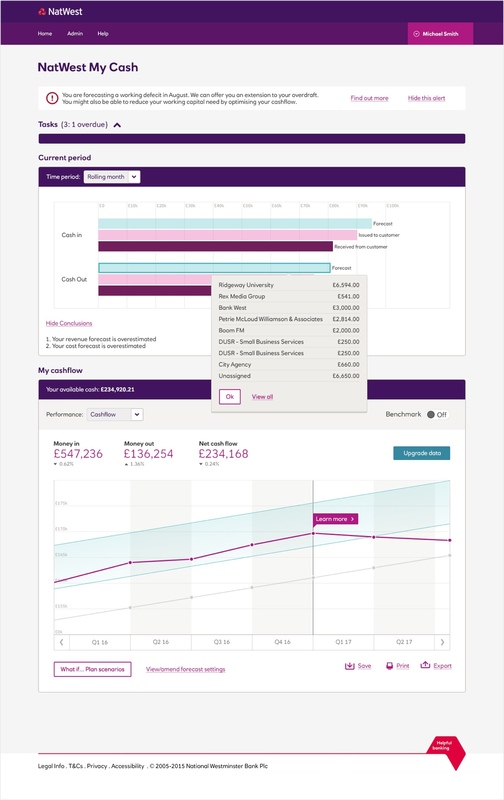 Working from within their offices in Bishopsgate and Islington the MyCash innovation project focused on visualisations of cashflow, forecasts and associated business activities. 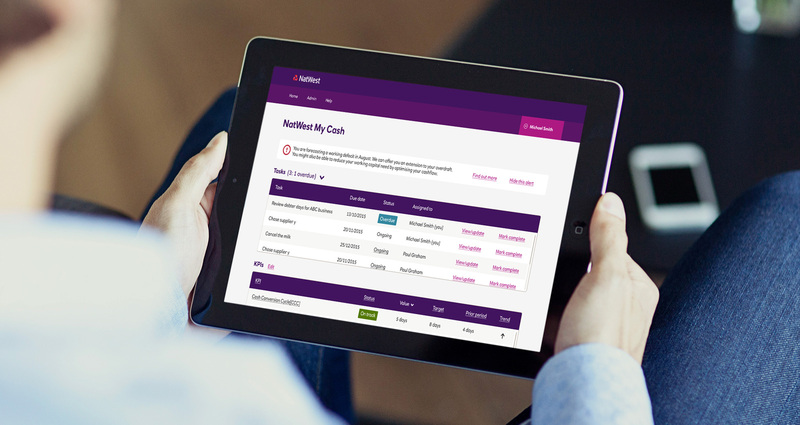 The MyCash project was encountering a few visual design challenges as were other projects under the RBS & NatWest brands. It was felt that a number of the existing interface elements were too commanding and overpowering the information and content, the layout of the existing interface was also too restrictive to deliver information effectively. 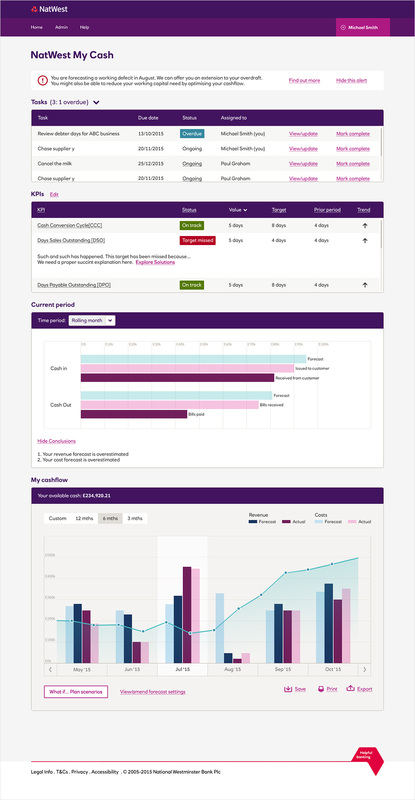 Working with key stakeholders and leading members of the CPB team the decision was made to completely redesign the interface itself. 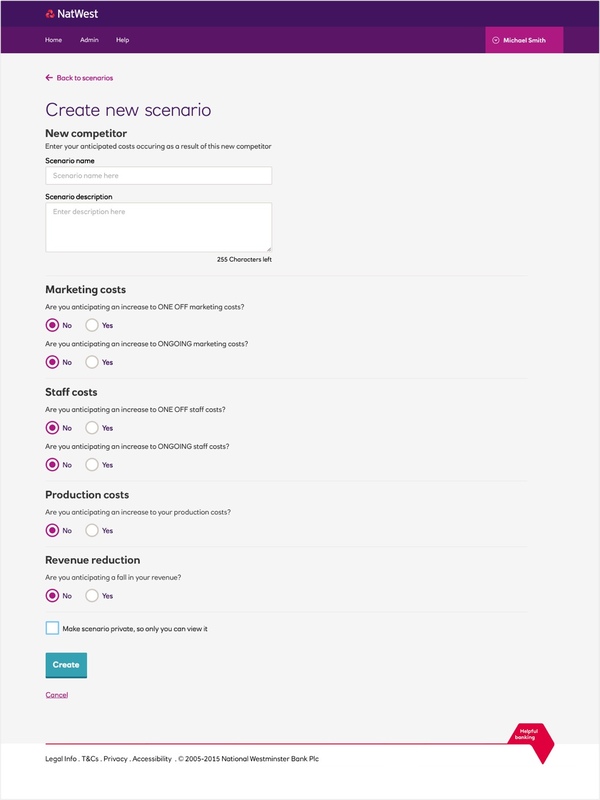 The design process began with setting out a list of objectives for the new interface: To maximise the amount of space used to deliver information and content, To minimise the amount of styles, elements, colours and graphics used, To define a strict hierarchy of tables, modal windows, CTA’s, typography and functional & graphic elements, To deliver information that communicates with clarity and is easy to understand and to create a design standard that is flexible both for customisation and growth by other departments. 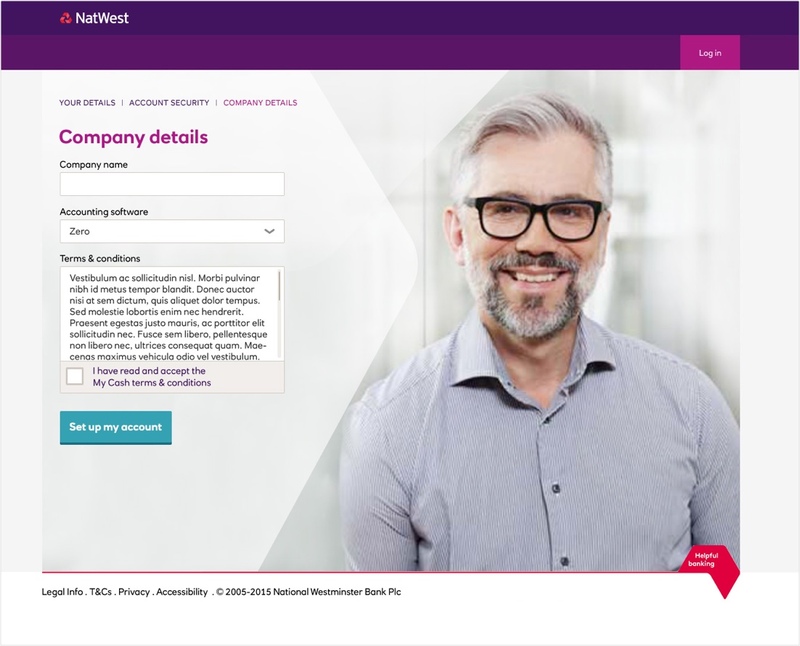 All of the design standards that I created and implemented for the MyCash project were adopted across the business and the interface design became part of the preliminary work that would ultimately become the new ‘Bankline’ Business Banking interface.